According to Amadeus (25 MAR 2013), from 25 APR 2013 RwandAir will start a code share service, to Istanbul. Flights will be operated by Turkish Airlines, but with both RwandAir and Turkish Airlines flights numbers. 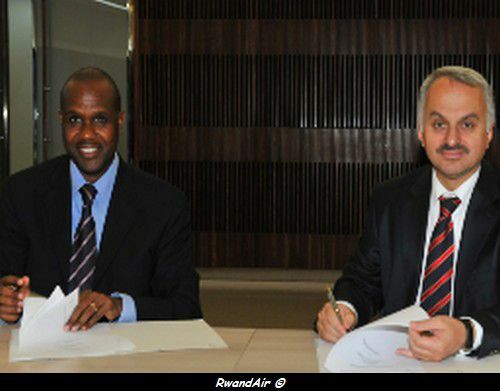 On 21 August 2011 (HERE), RwandAir and Turkish Airlines signed a Memorandum of Understanding, including a code share agreement. What a code share ?